EANx - short for Enriched Air NITROX - offers so many physiological and practical benefits that it's hard to understand why anyone would still want to dive on air! With its elevated oxygen content, diving EANx means less nitrogen in you body, longer bottom times and less post dive fatigue - benefits that every diver can appreciate! IANTD's range of Enriched Air Nitrox and Trimix diver training programs allow you to develop your skills and knowledge of EANx and Trimix diving in a safe, progressive and controlled manner under the direct supervision of your IANTD Instructor. To become a self-sufficient diver is the most difficult part for a diver. 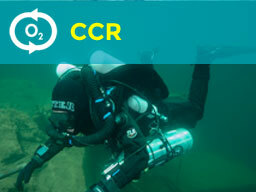 Scuba diver training goes faster and faster, so time is needed to digest the training. We must train physically, mentally and in-water to become an autonomous diver: somebody who can take care of himself and his buddies while respecting the environment. 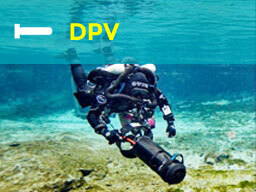 We all need "Essentials Training at different levels in our diver life. Quality training, education, feedbacks are some of the keys! "The day I stop learning something in diving, I will stop diving": John Orlowski. 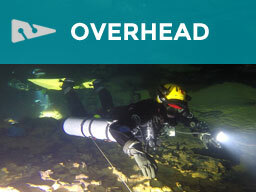 This mid-level Specialty Continuing Education Diver Program is designed to enable the certified diver to extend proficiency in the water and to review and put in practice the Essentials learned in any IANTD diver classes. These techniques and knowledge prepare a diver for more advanced recreational diving programs. Same as Equipment requirements listed in the general Sport Diver Programs overview. A long hose (1.5m) is recommmended, and with a short hose with a necklace as backup, wings and plate, Transpac, or other. In addition, it is recommended that either a dual outlet valve, or a small set of doubles (7 litres) or a popny or stage cylinder no larger than 4 litres be used but not required. 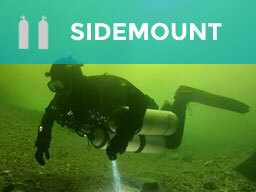 Or a diver who is OW SideMount qualified may use side-mounted cylinders. 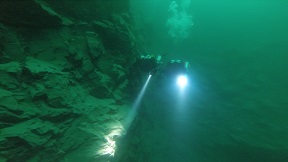 The IANTD EANx Diver program covers dives in the 12m to 40m depth range with the emphasis on using EANx 32 & 36. 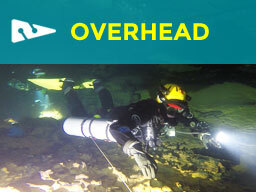 The program may be taken on its own or combined with a variety of IANTD Advanced or Specialty Diver training programs. 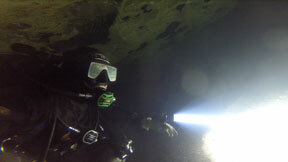 It is not necessary to carry out dives to qualify as an IANTD EANx Diver, but is it recommended that divers perform two dives on an EANx mixture of between 24% and 40% oxygen. IANTD EANx Diver Student Kit. Equipment used during this program must be appropriate for the environment and in good working order. The IANTD Recreational Trimix Diver program provides Sport Divers with a safer breathing medium within the depth limits of sport diving (40m), whilst utilising helium to give an Equivelent Narcotic Depth (END) of between 12m and 24m. 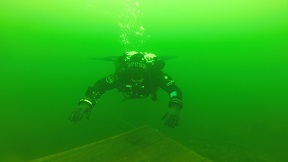 The diver may elect to dive the 'mix' on IANTD Recreational Trimix tables or computers. 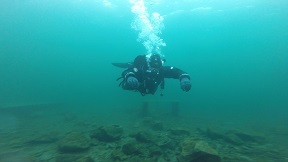 The IANTD Recreational Trimix Diver program may be taught as a single course or combined with a variety of IANTD Advanced or Specialty Diver programs. The program qualifies divers to perform no stop dives using Recreational Trimix Gas mixtures within the limits of the existing qualification level to a maximum depth limit of 40m. The program covers all Recreational Trimix gas mixes from 28% to a maximum of 40% oxygen and Helium concentrations yielding an END no greater than 24m emphasizing the use of 30/25 trimix. IANTD Recreational Trimix Diver Student Kit. 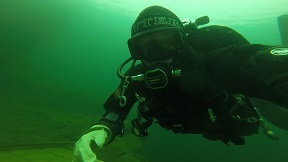 The foundation program for safe self sufficient diving. The IANTD Advanced Nitrox program covers the core skills from the technical diver training programs including the use of dual outlet single cylinders or twinsets with central isolation manifolds and decompression skills and procedures using bottom mixes upto 40% nitrox and decompression mixes upto 100% oxygen to a maximum depth of 42m. An essential component of this program is equipment configuration which is covered in a series of lectures and practical workshops. The aim being to construct a safe self sufficient equipment configuration that is streamlined, accessible and promotes familiarity. Theory covered requires the EAD concept, oxygen physiology, % CNS 02 & pulmonary toxicity tracking, the use of EANx as a decompression gas, gas switching techniques, partial pressures and best mixes. This program qualifies divers to do dive to 42 msw and perform decompression stops utilising EANx decompression mixtures with an oxygen concentration no greater than 1.5 pO2 for a maximum duration of 15 minutes. A single cylinder with a dual outlet or a manifolded twinset. A safety or decompression gas cylinder rigged as either a pony or stage cylinder. Gas cylinders must be oxygen clean and oxygen serviceable where needed. The foundation program for safe self sufficient diving. 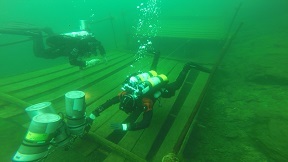 The IANTD Advanced Recreational Trimix program covers the core skills from the technical diver training programs including the use of twinsets with central isolation manifolds and decompression skills and procedures using bottom mixes of Recreational Trimix with oxygen contents between 21% and 40% with a maximum pO2 of 1.5 bar, combined with a helium content to yeild an Equivelent Narcotic Depth (END) no greater than 24 msw. An essential component of this program is equipment configuration which is covered in a series of lectures and practical workshops. The aim being to construct a safe self sufficient equipment configuration that is streamlined, accessible and promotes familiarity. Theory covered requires the END concept, oxygen physiology, oxygen tracking, the use of EANx as a decompression gas, gas switching techniques, partial pressures and best mixes. This program qualifies divers to dive to 51m and to perform decompression stops utilising EANx decompression mixtures with an oxygen concentration no greater than 1.5 pO2. IANTD Advanced Recreational Trimix Diver Student Kit. A twinset with isolation manifold. The IANTD Normoxic/Normoxic Plus Trimix Diver program is designed to train divers who wish to dive to depths between 39m and 70m, but do not wish to breathe air below 39m. Trimix affords a means of managing nitrogen narcosis by reducing the Equivelent Narcotic Depth (END) to a maximum of 36 msw. The IANTD Normoxic/Normoxic Plus Trimix Diver program requires academic lectures, confined water skills development and open water dives using air, EANx or Trimix using one gas switch. Gas switching computers can be used (and are recommended) but IANTD tables must be used as a backup. 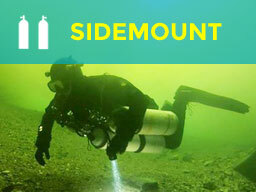 These programs qualify divers to perform Trimix dives to a maximum depth of 70m using custom bottom mixes with a minimum oxygen content of 19% and a maximum of two decompression cylinders. 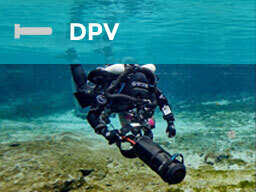 Must be qualified as an IANTD Advanced EANx Diver or IANTD Advanced Recreational Trimix Diver or equivalent. 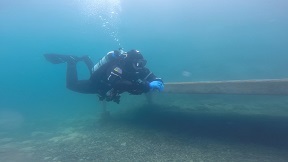 Must provide proof of a minimum of 100 logged dives, of which at least 30 were deeper than 27m or sufficient experience doing technical dives to satisfy the instructor that the student has the ability and knowledge to continue into this level of training. Must 0be a minimum of 18 years of age. This program is designed for those individuals already involved in deep diving activities but wish to develop the skills, ability and knowledge to enable safe diving in the trimix depth range. 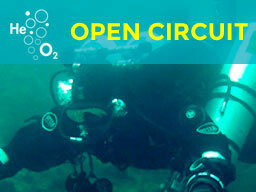 It requires extensive dive planning workshops covering all bailout scenarios, run time management and choice of gases. The diver's skills are developed to the highest level to promote self sufficiency and safety whilst maintaining the ability to operate within a team. The program requires academic lectures, confined water skills development and open water dives. Gas switching computers can be used (and are recommended) but IANTD tables must be used as a backup. The knowledge and skills taught in the IANTD Trimix Diver program qualify divers to perform Trimix Dives to a maximum depth of 100 msw. Must be qualified as an IANTD Technical Diver, Technical Cave Diver, Technical Wreck Diver, Normoxic Trimix Diver or equivalent. Must provide proof of a minimum of 200 logged dives, of which at least 25 were to depths between 42m and 60m or sufficient experience doing technical dives to satisfy the instructor that the student has the ability and knowledge to continue into this level of training.